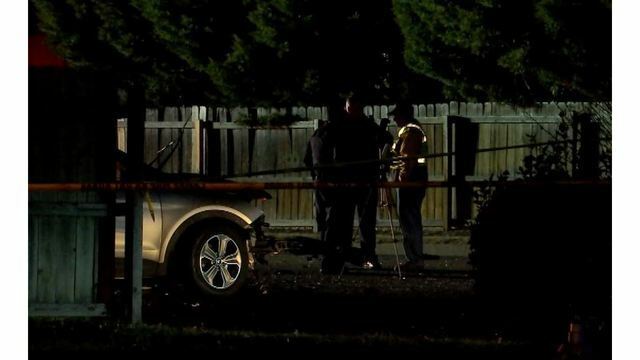 HENRICO COUNTY, Va. (WRIC) — The man charged with the deaths of two passengers who were killed after he crashed his vehicle while fleeing from police in Henrico County last year will spend two decades behind bars. Lewis Irvin Price, 27, was sentenced to 50 years with 26 years suspended for two counts of involuntary manslaughter and other charges, including eluding police. The incident started early one evening last February when Henrico Police attempted to make a traffic stop on Hungary Road, just west of Staples Mill. Police say the driver sped off and struck a Hyundai SUV that was attempting to turn left on Hungary Road from N. Lakefront Drive, and then plowed through a fence and hit another vehicle that was parked in a driveway. The driver then fled the scene on foot, but police eventually caught up with and apprehended him. Two people who were inside Price’s car — 25-year-old Debra Renee Eckhart and 27-year-old Rena Chhay — were pronounced dead at the scene. The brother of one of the victims told 8News last year the two Eckhart and Chhay were best friends.